Field Trips raised $2,230 on HandUp! Please help COTS provide fun, educational activities for the children staying in our shelter! COTS exists to alleviate family homelessness in the city of Detroit. Our emergency shelter serves around 100 children on any night. We work to provide fun, educational field trips and on-site activities to engage our children. These activities allow the children we serve to 'be children' and cope with the stress and confusion of experiencing homelessness. With the support of our donors, we have organized educational events in the past. Last summer 20 of our children ages 8-12yrs participated in the Green Living Science 3-day summer workshops. Green Living Science provided hands-on STEM art activities for our children. 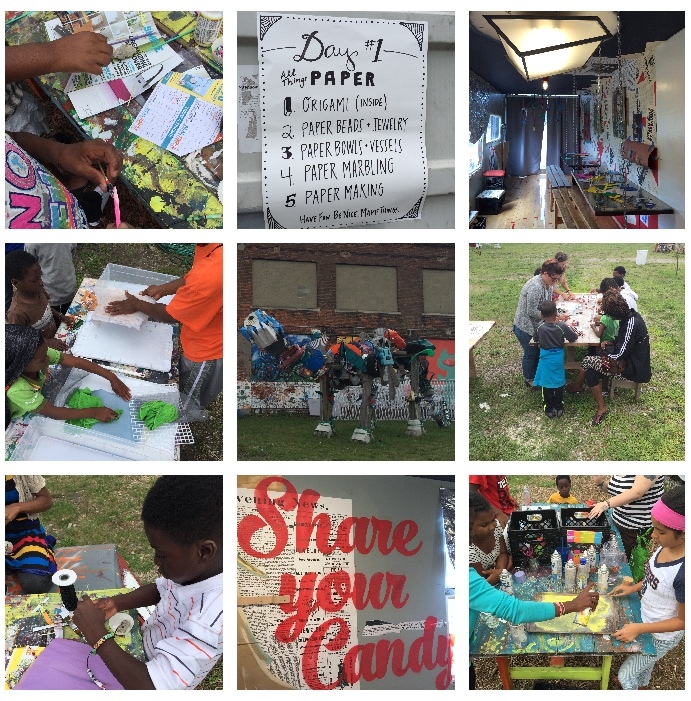 They learned how to repurpose papers into 3-D and wearable forms, explore the color wheel through a variety of activities and were taught how to use fiber arts to create different weaving techniques. This was the highlight of the summer for so many of our children. We're hoping to recreate fun, educational event this summer and we need your support! Some of our ideas for field trips include; rollerskating parties, martial arts classes, bowling, visit to the zoo, visit to the Michigan Science Center with an Imax showing, baseball games, and children's theater. All of our ideas are for children and families to experience something new and educational. This is a great opportunity to support family growth! We appreciate any and all donations. You'll start to receive updates in your email on Field Trips's progress.